Check out the sweet custom Arctic Cat Wildcat X build from KICKER/SSV Works featuring their Stage 1 Audio Package. This is pretty amazing, and something that Bobby Flame could only dream of. 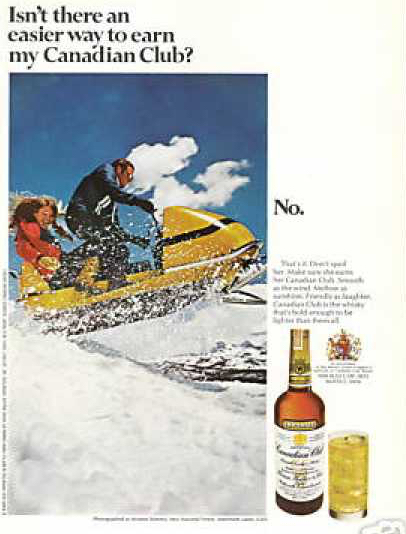 "Before I even clicked off a mile, I (_____fill_in_the_blank____) to my sled," are words that live in infamy with a group of my snowmobile friends. 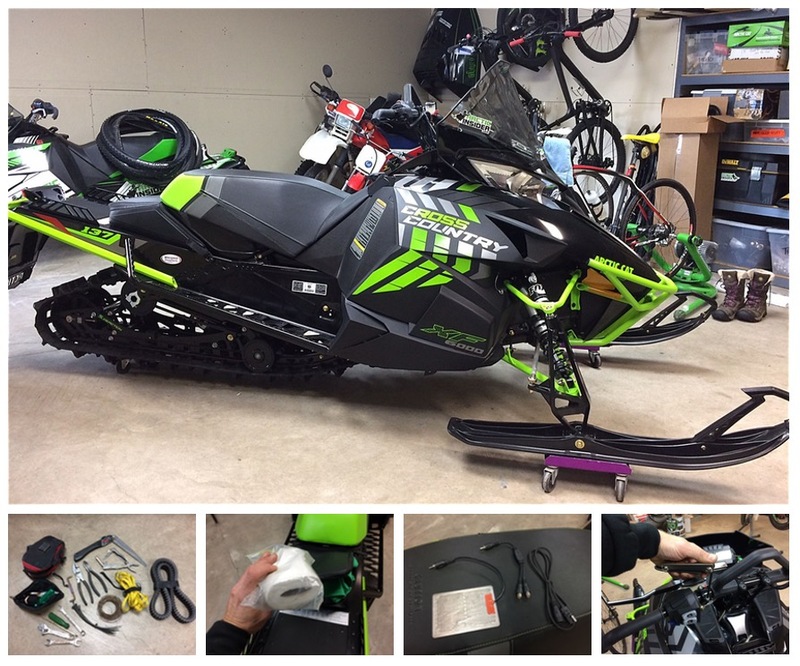 But as much as we joke about it, there actually are a few things I do to a new sled before I take that first ride. 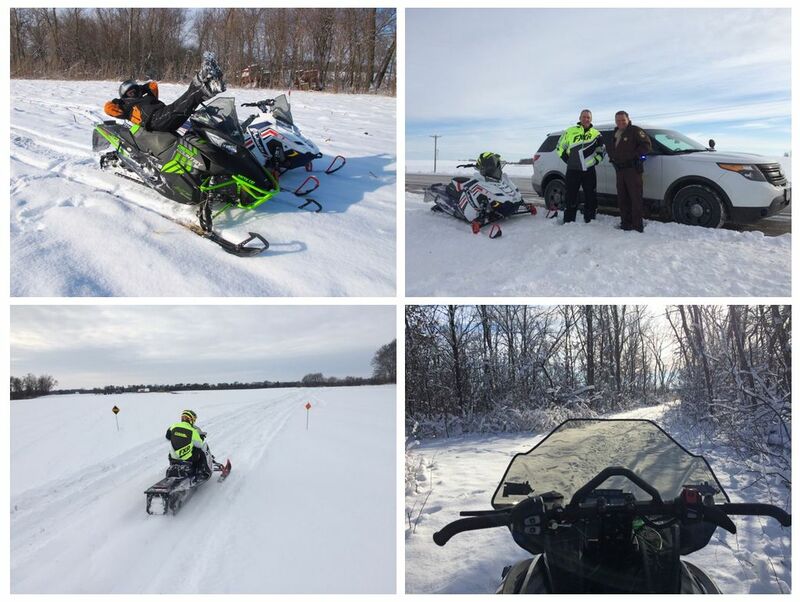 And with enough snow on the ground here in the Twin Cities area, here are some pix of the process before I take my first ride this afternoon. 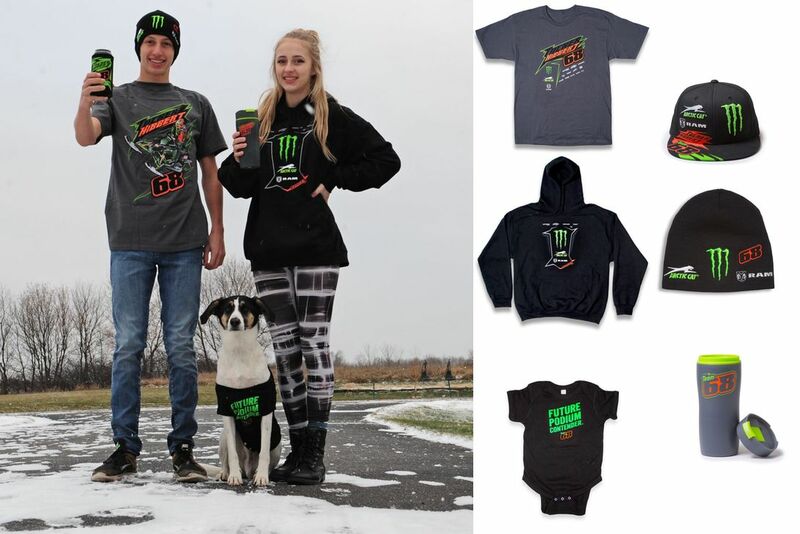 Just in time for the gifting season, Tucker Hibbert just released his 2017 line of merchandise, giving fans (and dogs) a chance to wear and use some sweet gear. From Hoodies to T-shirts and onesies (that Otis dog LOVES to wear) to hats, beanies, coffee mugs and more, there's something for every fan. Click for some cool pix and info on how to stock up. 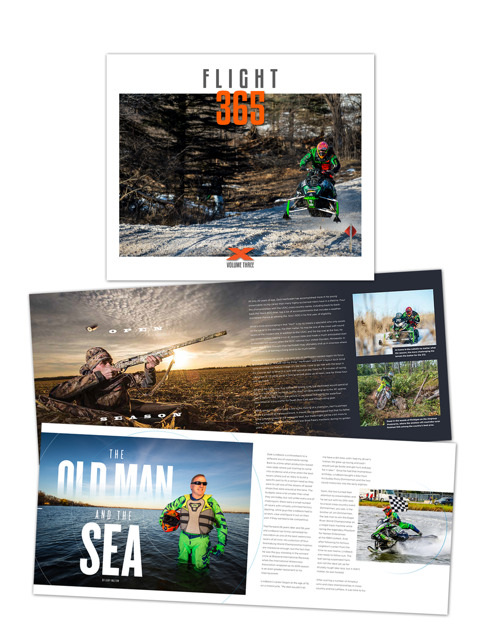 If you're a fan of snowmobile racing and appreciate stunning photography that captures the action and the actors, then this year's Flight 365 Photo Annual is truly a must-have. The third volume book is at the printer and will be available in time for Christmas. 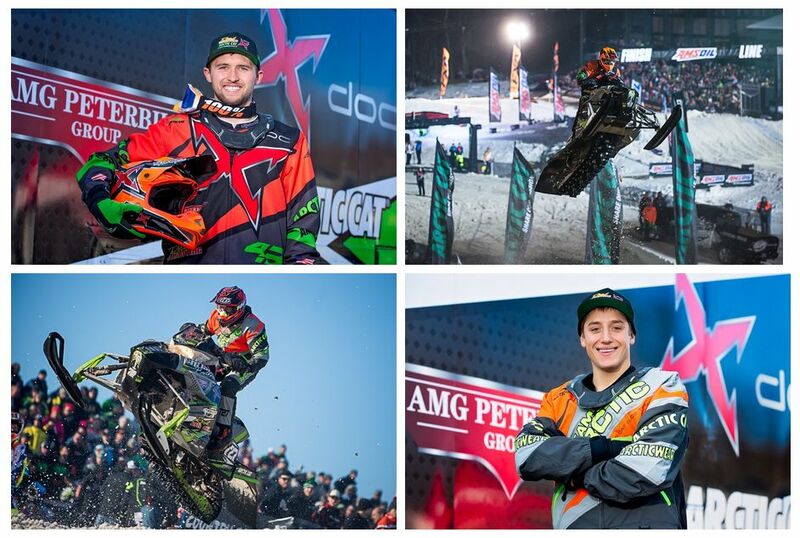 For Arctic Cat fans in particular, there are major features on Zach Herfindahl and Dale Lindbeck, as well as the sport in general. It's large format 13 x 10 x 1-in. and only $10! This is one of those books you love, keep, and then keep loving for decades. Click for more info. Or click the photo above to order one. 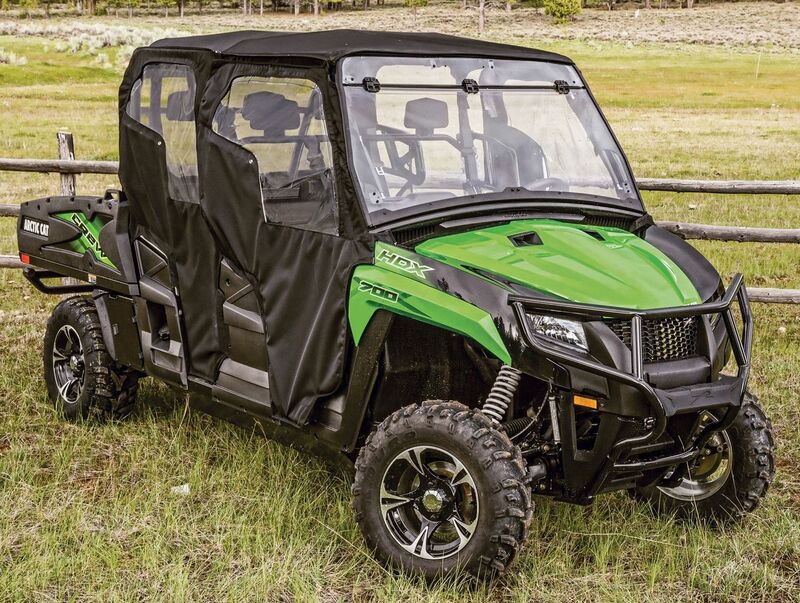 Got an ATV or side-by-side? 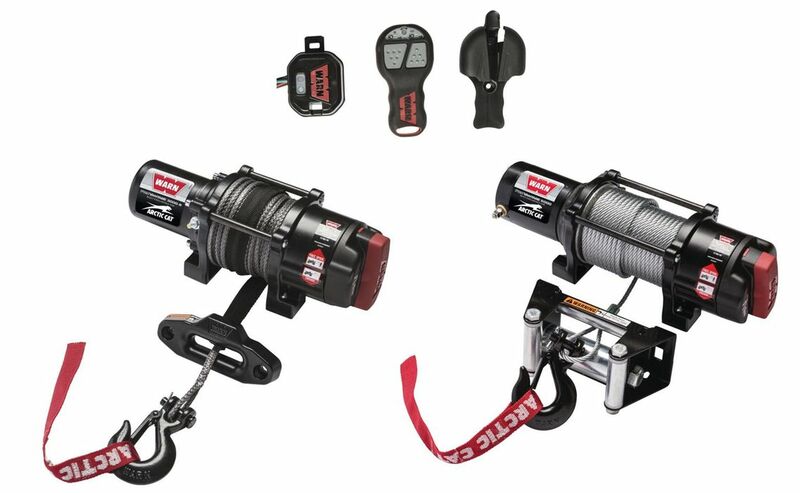 Then you either already have a winch, or you will within 24 hours of the first time you need one. The newest ProVantage Winch Kit and accessory Wireless Remote from Arctic Cat are exactly the kind of saviors you'd expect them to be. Winter's here! And wouldn't it be nice to drive a sweet new Arctic Cat HDX that's equipped with a comfy Soft Cab Kit!? Click for your ticket to fully enclosed comfort. Want to know the easiest way to save the world from the dark forces of destruction? 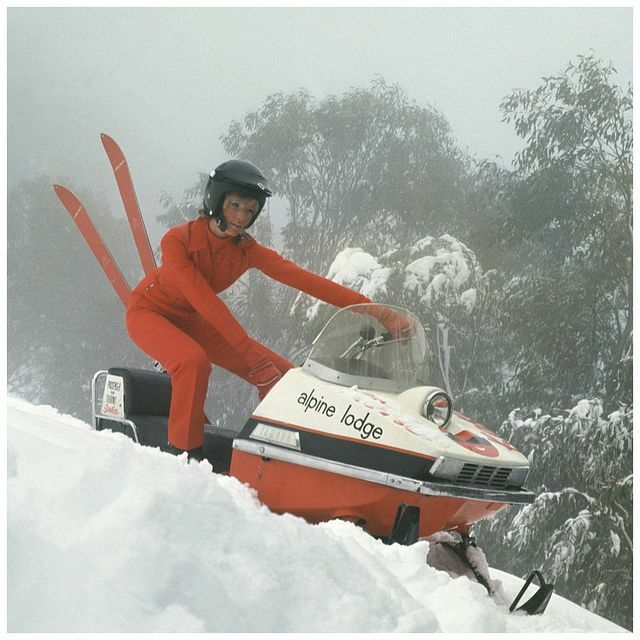 Unleash the inner-super hero snowmobiler in your kid with a Comic T-Shirt from Arctic Cat. Yep, it's that simple. Click for more world-saving info. 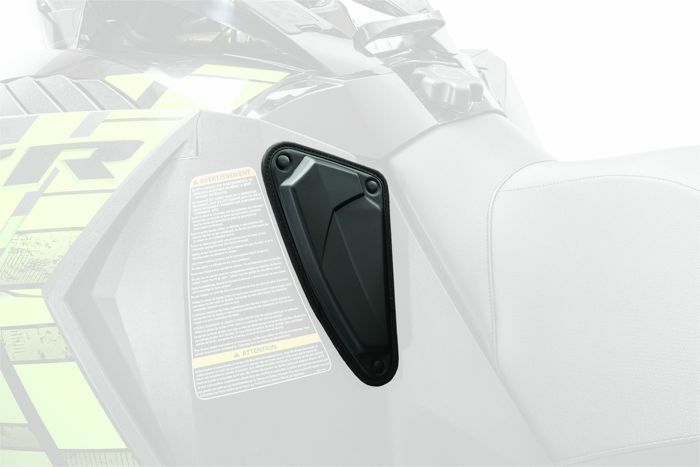 If you're one of those snowmobilers who use your knees to squeeze and rest against the plastic console around the fuel tank of Arctic Cat ProCross or ProClimb models, having a pair of Tank Pads will put a smile on your face. From a bird's-eye perspective, it's looking like winter in the U.S. and Canada. 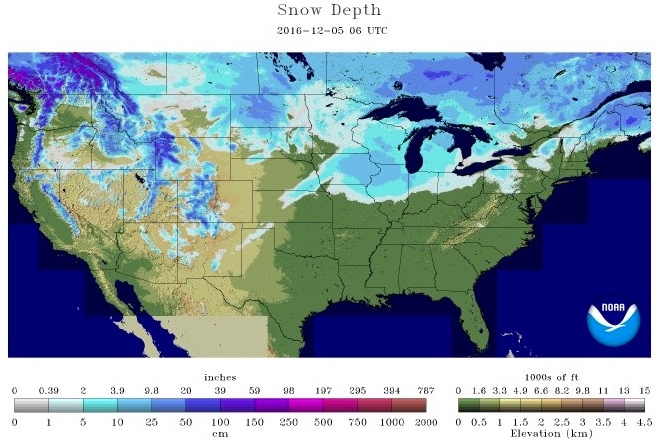 For more in-depth snow analysis, CLICK HERE to jump to the NOAA snow depth web site. 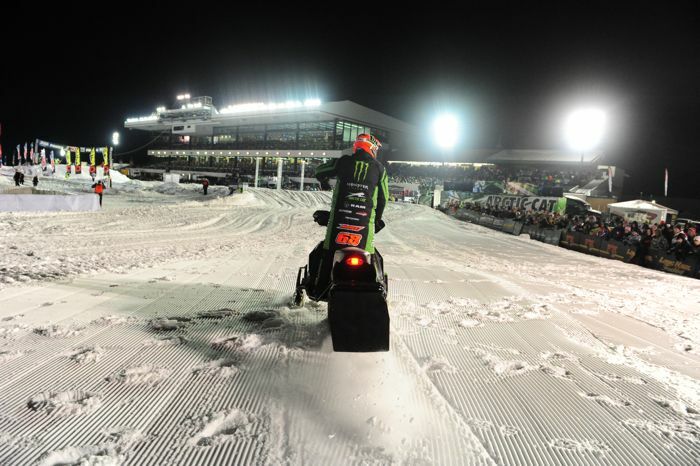 Check out the video recap of Tucker Hibbert's 2016-2017 ISOC Duluth weekend. Click to read the Christian Brothers Racing race recap from the 2016-2017 ISOC season opener in Duluth. 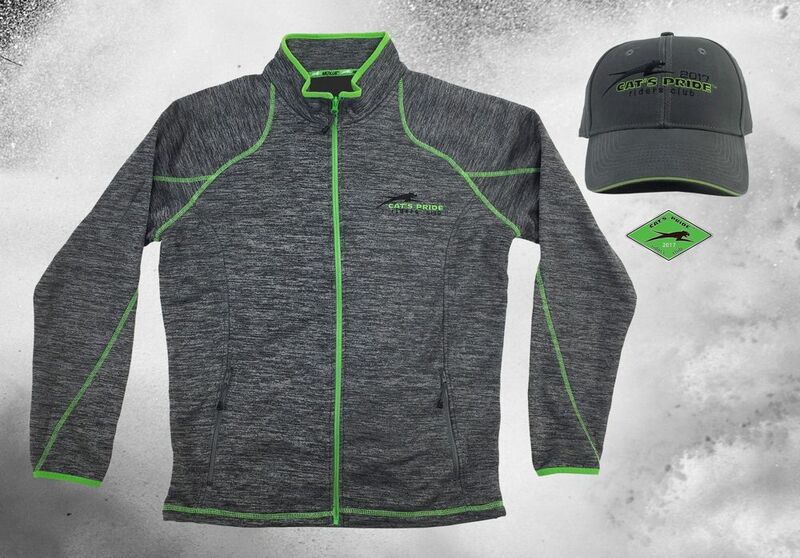 You give (or get) a quality performance pullover; hat; and membership pin with free shipping. The new Arctic Cat Black Cats video. Sweet!